A moving story of hope, faith, persistence and the power of dreams. A piano prodigy, a nineteen-year-old college grad, a Marshall scholar, and an American Idol finalist. This guy had it made. He could sing. He could ski blind. What couldn't he do. 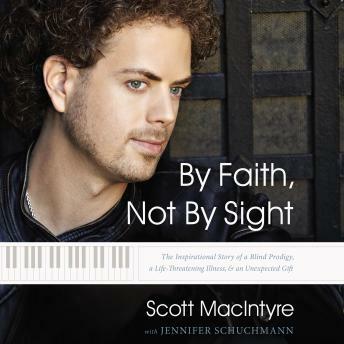 Even if you saw him in concert, you might not believe that Scott MacIntyre is blind, and you'd never guess that at nineteen, he faced a diagnosis that rocked his family and nearly took his life. So how did he do it? How did he overcome the odds? This is Scott's story, but he'd be the first to tell you that it's not really about him. This is the story of how God used a dedicated family, a selfless acquaintance, hardship, and a host of characters to give him life, faith, determination, and experiences most can only imagine. Peek behind the scenes to see how he learned to overcome his disability, how he made it in the music industry, how he found the love of his life, and how God taught him that in all things, we can truly achieve our dreams By Faith, Not by Sight.